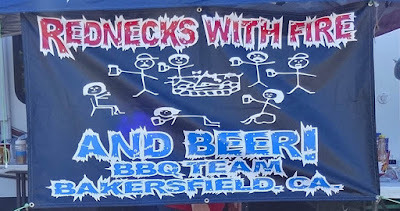 Hot, Hot, and more Hot was Grills N Grills a fundraiser for United Way in Penn Valley California. 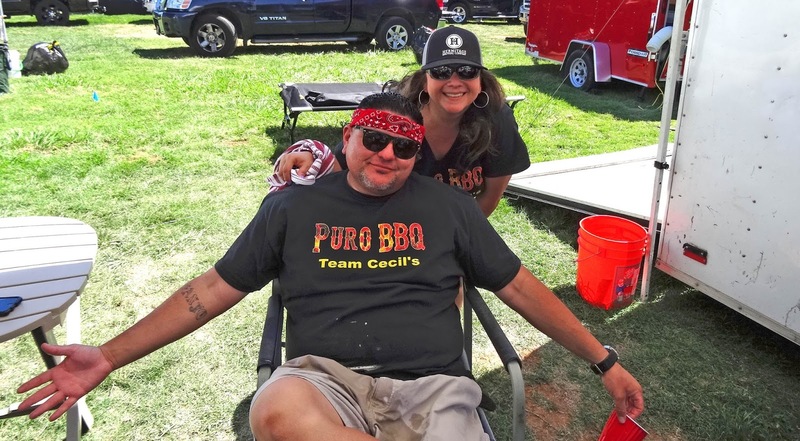 The 100 degree heat bore down on a festive KCBS barbeque contest. This festival had twenty seven teams competing for the trophy today. 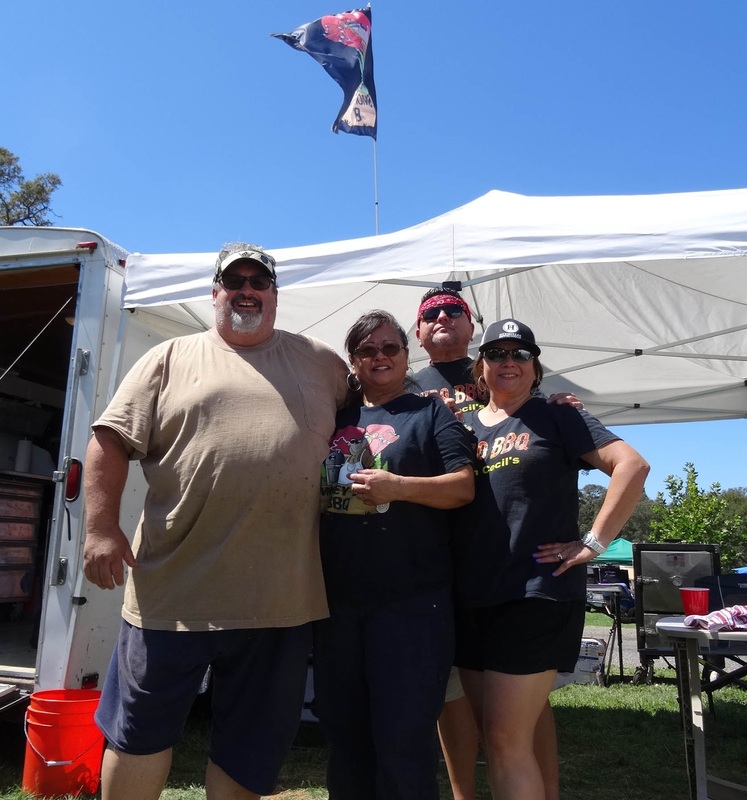 The public was treated to a car show and music while enjoying this sizzling festival. Luckily, we judges were sequestered in an air-conditioned room to perform our duties. After our judging we wandered the grounds and enjoyed the car show. There was shade to take in the music and liquid libations. 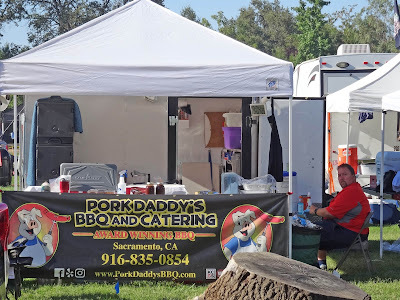 We realized how lucky we were to be in the air conditioned judging area. This Bay Area boy is not used to the three figure heat levels. Spoil the judges is my mantra. Congratulations to Nancy Martin for becoming a new certified Kansas City Barbecue Society Master Judge. After completion of judging 30 contests, cooking with a team, and passing a rigorous written test Nancy recites the judges oath before our judging duties to welcome her to the Master Judges fraternity. 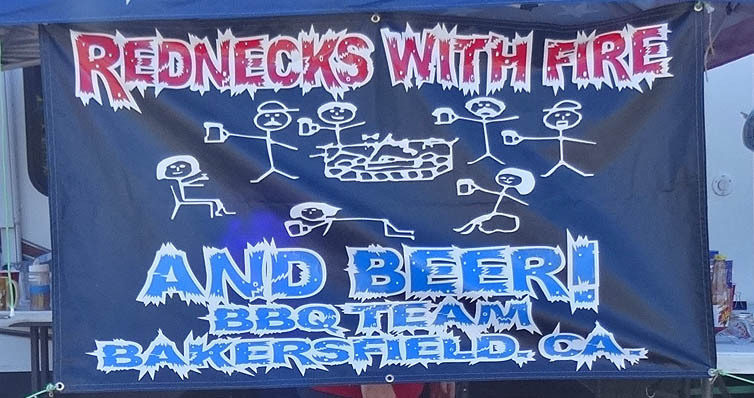 Nancy will receive a certificate, pin and the satisfaction that she is an experienced bbq judge. Welcome. After judging a competition your stomach is stretched and your taste buds are a little dull. 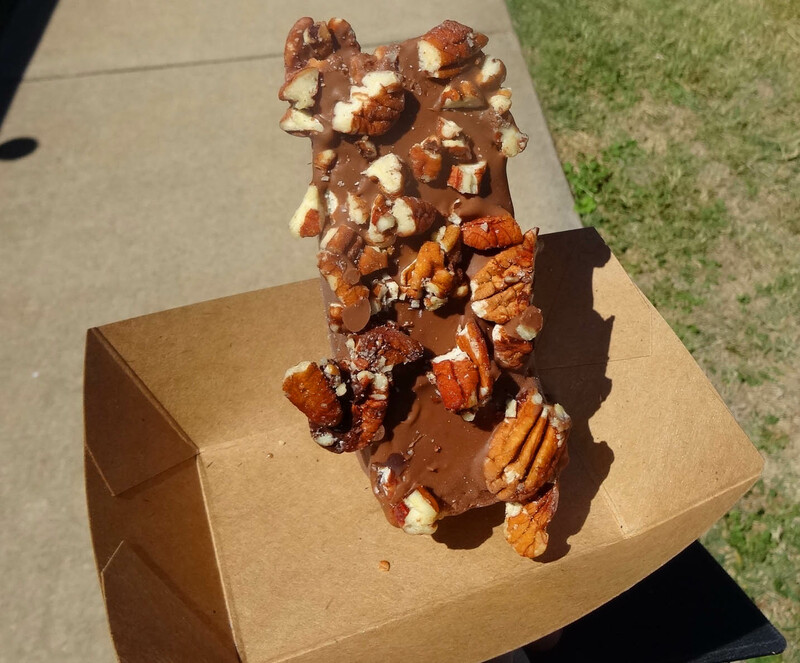 This Mad Meat Genius did find room for the pictured frozen chocolate covered cheesecake. It was the perfect ending to a very fun hot day. Congratulations to Smoky Luv pictured below for winning Reserve Grand Championship and DG Firehouse for the coveted Grand Championship prize. Take up good beer drinking and we can hit up any of several excellent purveyors on the way back from Penn Valley next time. We stopped at Knee Deep, bought fresh beer to take home and saved a bundle vs what I'd pay for bottled product here. Ikeda's (Davis) marionberry pie to top off the night is mandatory this time of year. Last of the year's fresh blackberries too. Aaron, I do like pie. Ms. Goofy just happens to be a beer drinkin women. It all sounds great.